Changing the way we experience culture. 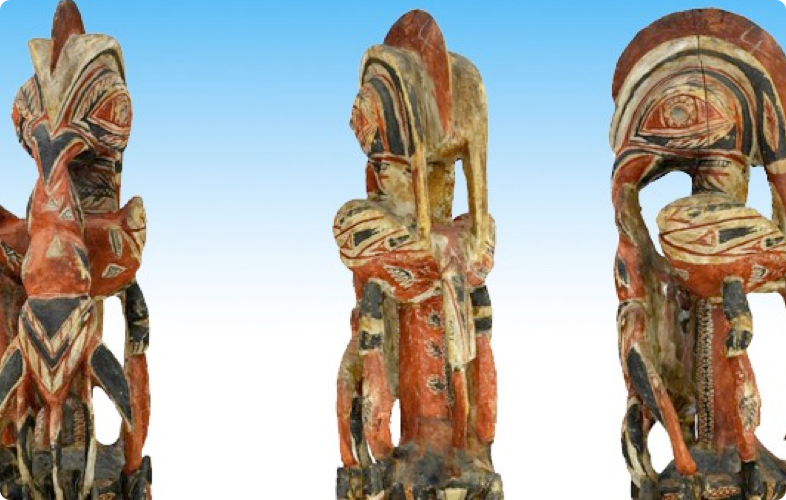 Dr. Joanne Tompkins explains her research interest and the motivations behind our passion for the Cultural Heritage Sector. 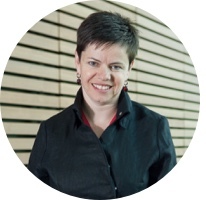 She is a professor of theatre at the University of Queensland and Research Coordinator at Ortelia. My research focuses on space and spatiality: how the venue in which a play is performed or an exhibition installed makes such a difference to the effect and the impact of a play/exhibition. The same is true of theatre: we interpret a play in the context of the venue in which is performed. The physical volume of a theatre in particular is usually overlooked but it contributes so much to the feel of a performance, as does the décor and the architecture. Ortelia enables the exploration of theatrical space and venues for exhibitions, but it takes that experience much further, offering the chance to understand that space in the context of architecture, sets, art pieces, lighting, and colour. 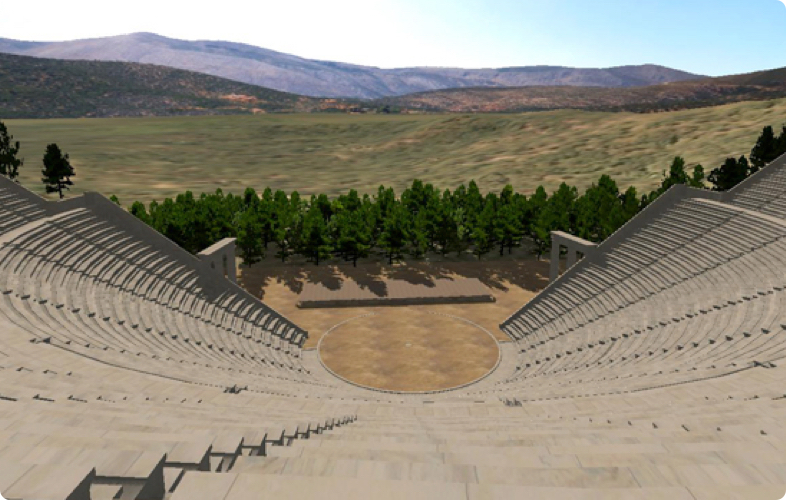 Ortelia’s specific research importance is in recreating theatres that no longer exist. 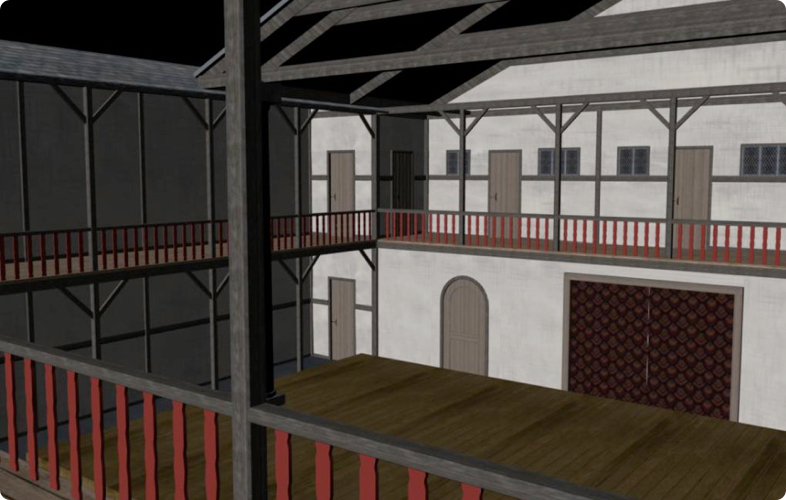 With Ortelia, we can experiment with space in a way that is all but impossible in contemporary theatres (which are busy with their principal functions, and to which non-performers have limited access), but this form of experimentation is even more important in understanding theatres that no longer exist. 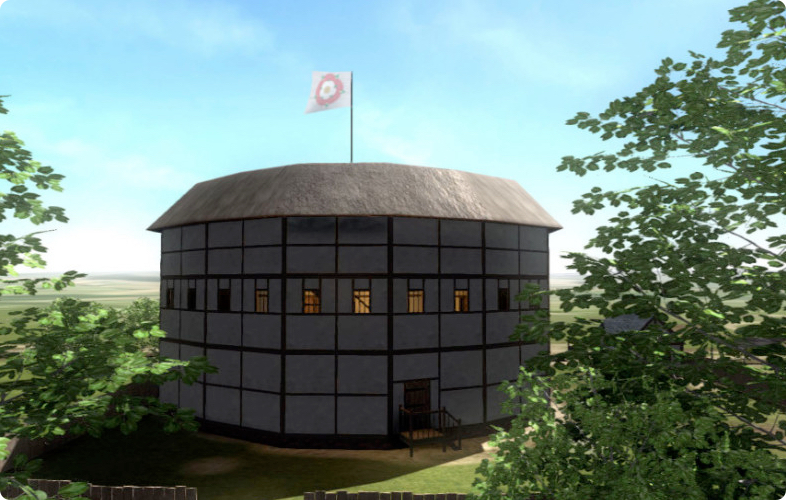 We rebuild such theatres in a realistic manner to facilitate the virtual re-occupation of these venues and, from there, we can understand how performance operated then, which is usually very different from performance practices today. We have worked very closely with a number of Universities on cutting-edge research and projects. These are our latest academic publications. Tompkins, Joanne, and Lazaros Kastanis. “Staging Supernatural Creatures in a Computer-based Visualization of London’s Sixteenth-Century Rose Theatre.” International Journal of Performance Arts and Digital Media, forthcoming 2017. Tompkins, Joanne. Chapter Five in my book, Theatre’s Heterotopias: Space and the Analysis of Performance. Basingstoke, UK: Palgrave Macmillan, 2014. This chapter deals with the digital, using Ortelia as one of three examples to map space. Tompkins, Joanne. 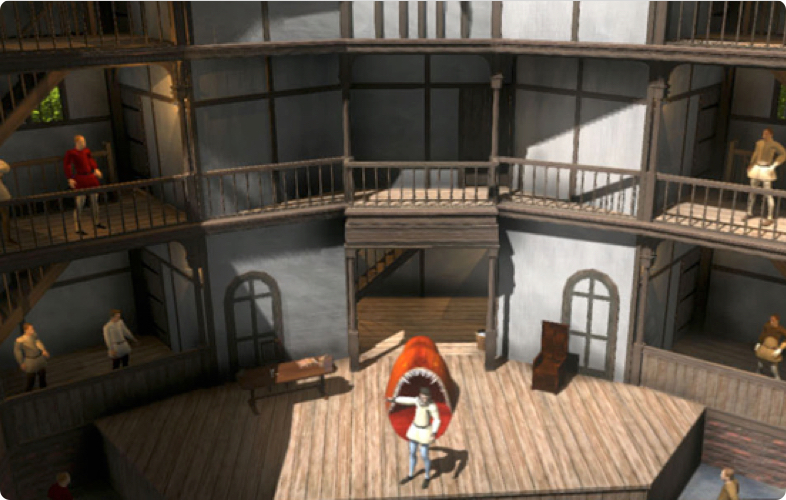 “Making the Invisible Visible: Virtual Stage Props and Christopher Marlowe’s Dr Faustus.” Performing Objects and Theatrical Things. Ed Marlis Schweitzer and Joanne Zerdy. Basingstoke, UK: Palgrave Macmillan, 2014. Delbridge, Matthew, and Joanne Tompkins. “Reproduction, Mediation, and Experience: Virtual Reality, Motion Capture and Early Modern Theatre.” SPACE–EVENT–AGENCY–EXPERIENCE. Open Access E-Publication of the DREX Project. Ed. Teemu Pavolainen and Riku Roihankorpi. Tampere, Finland. 2012. Tompkins, Joanne, and Matthew Delbridge. 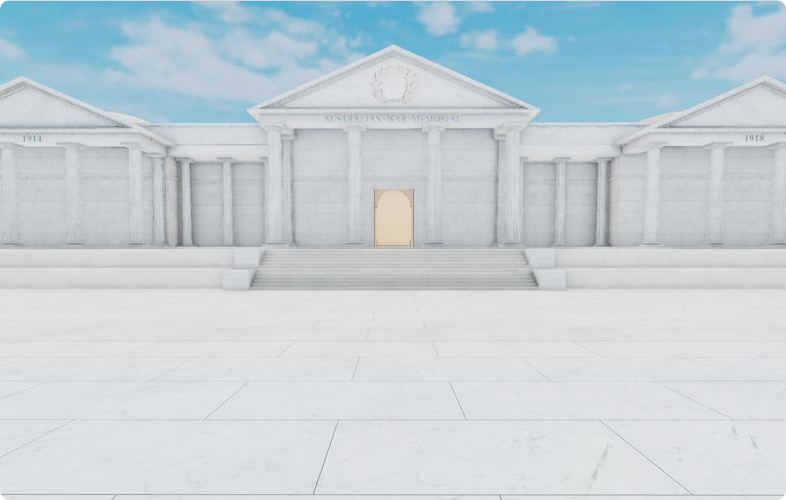 “Using Virtual Reality Modelling In Cultural Management, Archiving And Research.” EVA London 2009: Electronic Visualisation and the Arts. [refereed] Conference Proceedings. Ed. Alan Seal, Suzanne Keene, Jonathan Bowen. London: British Computing Society. July 2009. 260-269.